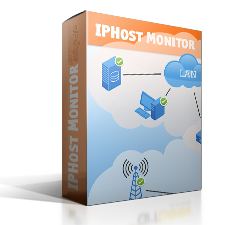 The Settings dialog allows you to modify IPHost Network Monitor’s general settings. 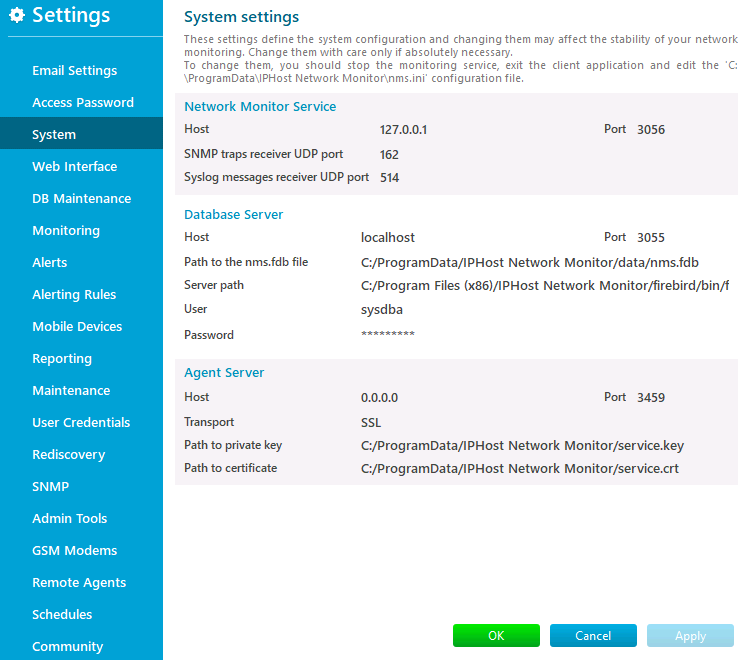 These are administrator e-mail account settings, an access password and the default user account, system settings such as application paths and port numbers, web interface settings, database maintenance parameters, the global lists of reusable alerts, alerting rules, schedules and credentials, the global host maintenance table, various monitoring and reporting settings, rediscovery parameters, SNMP settings, administrator’s tools, remote agent settings, and settings for the GSM modem(s) attached to the monitoring host. You can press the Apply button to commit modified settings without closing the dialog and the Cancel button to undo the changes that are not applied yet. The OK button accepts the changes permanently and the client application and/or monitoring service can be restarted for the changes on the System page to take effect.